One of the unfortunate side effects of reading and blogging like rock stars seems to be a tendency toward burnout. How do you keep things fresh on your blog and in your reading? My brain needs to be entertained. Reading is the way I entertain it. I don’t really ever get burned out on reading. I might get into reading slumps though where I just can’t find a book that I want to read. Don’t try to force yourself to read something you aren’t interested in. Try something brainless. Usually I have slumps when my brain is too busy processing other things to settle down to reading. It helps me to read something so light and fluffy that my brain doesn’t realize that it is reading until it has been doing it for a while. I don’t really understand blogging burnout either. I’ve been doing this since 2004. That means that in real life I probably look like this. So take it from Granny, dearies. The key to not burning out is to have no limits. Stating that you are going to write only about contemporary mysteries involving ladies over 45 or only YA or only books even is setting you up to get bored. I think it bores readers too. I’ll write about whatever comes to mind. This is my journal and you guys are along for the ride. That keeps it fresh or me and hopefully for you. That means that I started out writing about current events and religion, morphed into more about horses and family, and then moved to more books and travel. Quilts and working out and other random stuff makes appearances as they want. I don’t care about branding or staying true to a niche. This isn’t my job. This is for my own amusement and if it isn’t fun for me then why do it? Taking this all too seriously leads to stopping writing all together. The last two paragraphs make me want to stand up and cheer! I occasionally feel almost guilty at how not focused my blog is but I write about what is making me happy in the moment and who cares if it goes against all the “rules” for having a great blog:)! Thanks for the vindication. Ha ha! I feel like that picture lots of times too, but usually when it comes to the tech side of blogging. 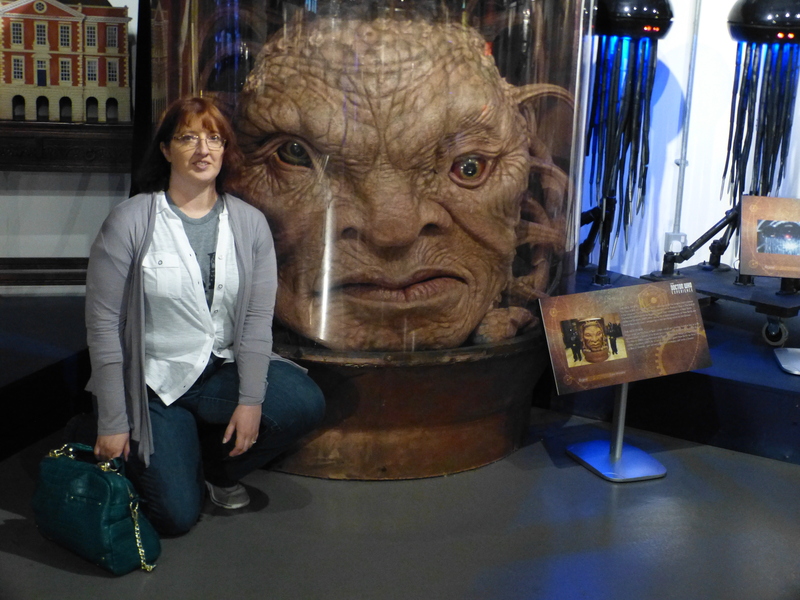 I love visiting your site and seeing the Face of Boe. That must have been pretty cool. I love the photo you shared. Haha Sometimes I feel like that. 🙂 I love what you wrote at the end, about not being into branding or sticking to a niche. That’s not who I am either. And not taking it too seriously . . . I wouldn’t be blogging today if I hadn’t let my hair down and decided it was okay to do things my way. Congratulations on twelve years of blogging! Great advice! I also treat myself to fluffy books when life is feeling too hard. It’s one way that I take care of myself. I never get bored with reading, but I do sometimes feel trapped by my own plans for the blog and burn out (or more accurately, get overwhelmed). I’ve sort of let that go, though. I never stick with books that aren’t doing it for me–too many other books to read to waste time on something that isn’t clicking. I love this. All of it. Great advice. Don’t limit yourself. Such true points regarding slumps. I think DNF’ing a book you aren’t enjoying is really important. With so many books out there to read and enjoy, why waste time of those that aren’t fitting with you. I love the common theme about writing what you want! It really breaks up the monotony and keeps it fun! Yessssss about doing it for fun, not for a job. If it stops being fun, what’s even the point?